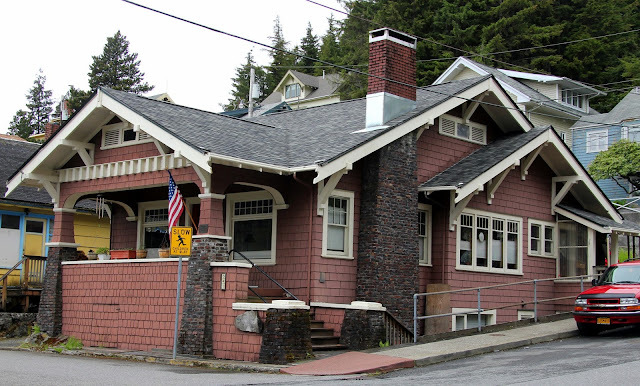 541 Pine St. Ketchikan, AK. Photo courtesy of Wikipedia. 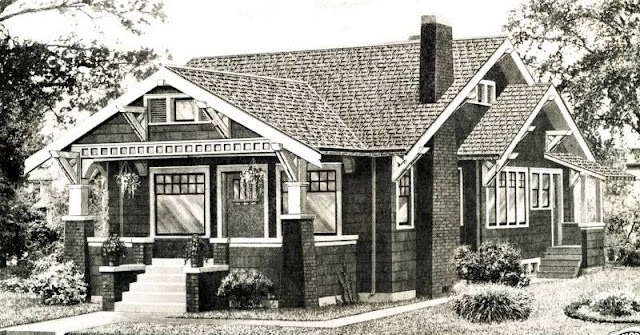 The Sears Modern Homes catalogs refer to sales across the United States and the Territory of Alaska. Here's a perfect example of a Sears Belmont in Ketchikan, Alaska. I believe this is the only Sears house ever identified in Alaska! The Walker-Broderick House, as it is known, was listed on the National Register of Historic Places in 1982. According to local lore, the house was built between 1916 and 1920 for pharmacist Norman R. "Doc" Walker (which corresponds to the years in which Sears sold the Belmont). 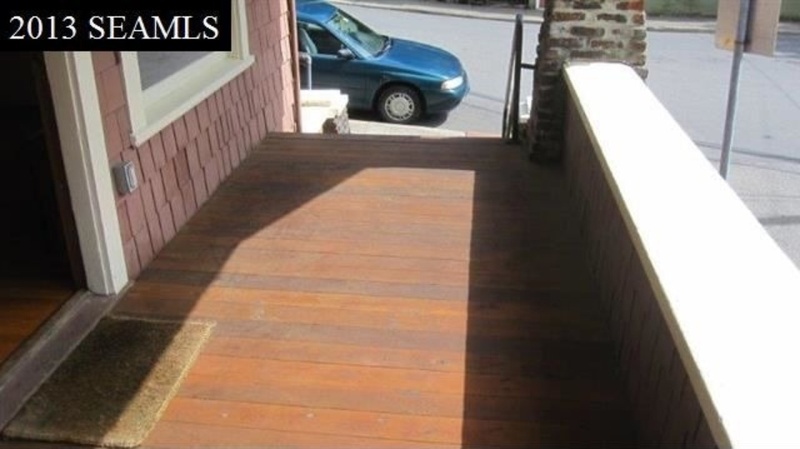 The house has had very few alternations over the years and is in almost original condition. Wow, what a great find, and a great model. 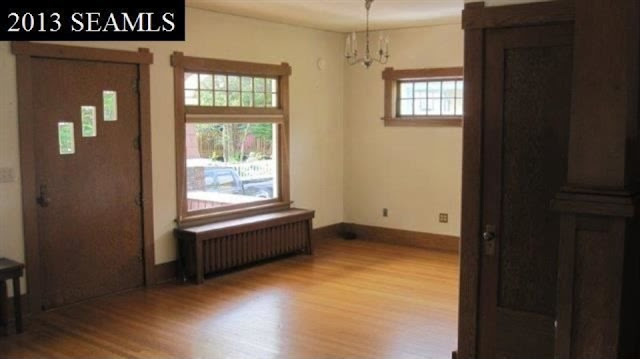 Seeing the inside shots is great, too -- the woodwork around the windows and door is unusual, in the way the boards overlap each other at the ends, instead of butting up flush. Truly a great find! I'm stunned that the house has retained so much of its original integrity. Even the front door (though different from the one in the catalog illustration) is original. Many people are surprised to find that doors such as this with the three stepped glass panes were available in the early twentieth century as they didn't gain widespread popularity until the 1950's. 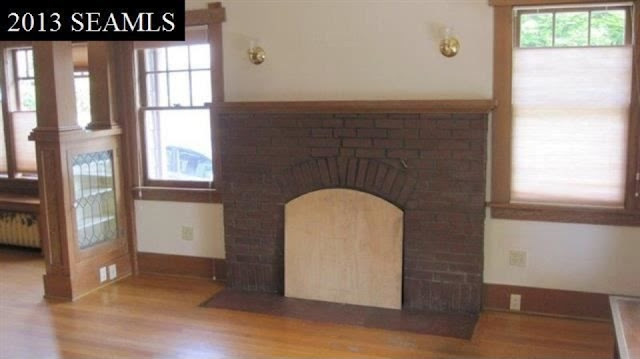 I hope it has since found a preservation-minded new owner.